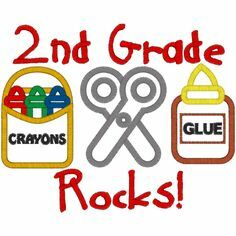 Welcome to the Second Grade Class Pages! Second grade is a truly special time when our students and their families prepare to celebrate the beautiful sacraments of First Reconciliation and First Holy Communion. Our students host the May Crowning Mass in May, followed by the Communion Breakfast shared with their families. Students further develop their language skills and become more proficient readers and writers. Each week they read materials in a variety of genres and use the writing process to create poems, stories, and essays. Children master the art of problem solving in mathematics as they learn how to use strategies to figure out the solution to multi-step word problems. They strengthen their computation skills using greater numbers and tackle regrouping in both addition and subtraction. Whether it’s creating models of the earth and its various landforms or collecting weather data as junior meteorologists, the content areas of social studies and science come alive through many hands-on activities in the classroom. We look forward to sharing an exciting year of learning together!